Stranger Things is a huge pop culture phenomenon, no matter how you look at it. Case in point, Newsweek is reporting that thousands of the show's fans crashed the Science Museum of Minnesota's website on Tuesday morning trying to score a purple Brontosaurus hoodie. The sweatshirt, a replica of a retired one the museum sold in the 1980s, was worn in the first episode of Season 2 by one of the main characters, Dustin Henderson. 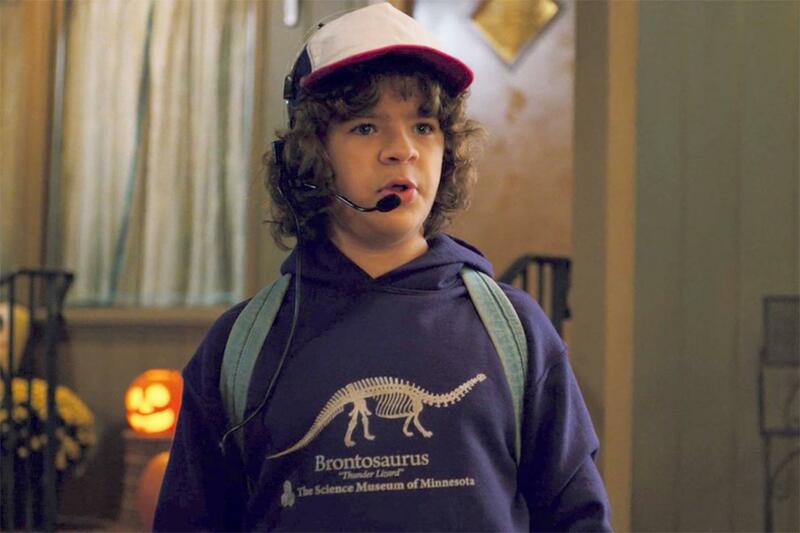 ...The St. Paul-based museum noticed the costume choice right away, calling attention to the sweatshirt on its Facebook page: "Stranger Things fans: Check out what Dustin is wearing in Season 2, episode 1! Yes, we want one too. Working on it!" The hoodie finally went on sale Tuesday morning on the museum's website. But museum staffers underestimated demand: It wasn't long before the influx of web traffic crashed the website, leaving disappointed fans shut out. In addition to the hoodie, tee-shirts and sweatshirts with the "Thunder Lizard" art are now also available. The museum stated in a Facebook post that proceeds from the sales of the line will support their educational outreach programs.